UNBOUND: Still good at being bad? Over 20 years ago the original DUKE set the tone of KTM’s return to street bikes. We find out if age has been kind to the original single-cylinder bad boy. 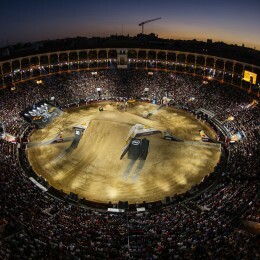 Madrid has been synonymous with FMX innovation for the past 15 years and last Friday night was no different: The world’s best FMX riders gathered in Madrid for the 15th time to celebrate the Red Bull X-Fighters anniversary and once again push the sport to the next level. Women under voltage. 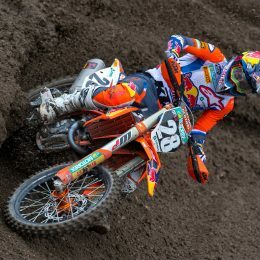 You want to read a fast and peculiar story from the KTM world? There are things that are rather the exception than the rule: Young women working as e-mobility development engineers at a sportmotorcycle manufacturer. Young women riding offroad. 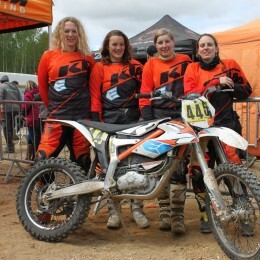 Young women who are so crazy about offroad riding that they register for a 24-hour Enduro race. 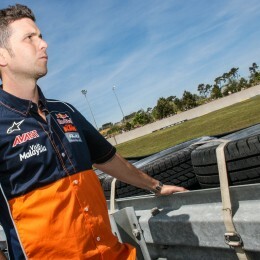 That´s the story of the “KTM HighVoltage Girls”. Read that ‘click’. Again. Faster. Now cut it in half. 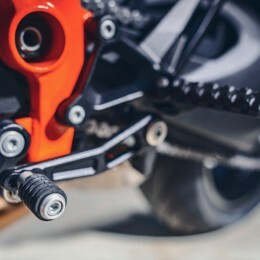 That’s the amount of time KTM’s 1290 SUPER DUKE GT needs to perform one of the slickest gearshifts in the company’s history. 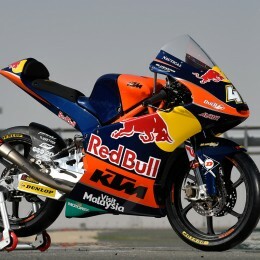 Here’s how the wizards at KTM R&D pulled it off. And why you will want this quick shift on your next bike. 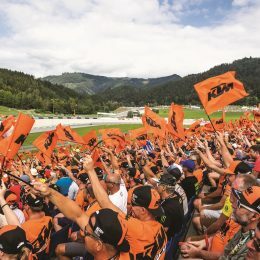 It is a long and difficult journey from a family garage in the small Finnish village of Valkeakoski to becoming MotoGP test rider for KTM Motorsports, even if you have made the successful transition through the various categories of MotoGP. 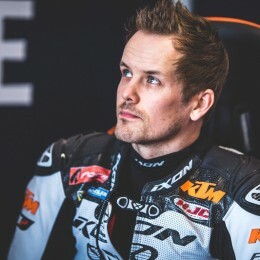 For Mika Kallio, it has been both far-reaching and very demanding. 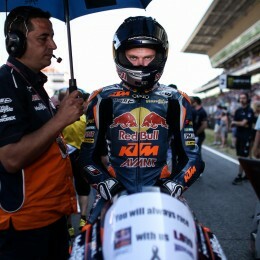 We spoke to Red Bull KTM’s Joan Olivé recently here on the BLOG and were intrigued to know how exactly the former Grand Prix rider advises and helps Moto3 racers Brad Binder and Bo Bendsneyder by watching them trackside. What can the Spaniard see? 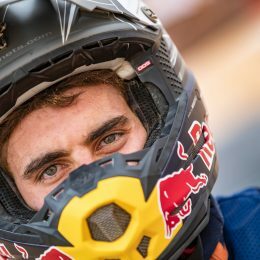 What does he observe different to the rest of us – perhaps motorcyclists but also race fans – enrapt through television or at the fences? We regularly bow down before all the great personalities, heroes and legends of racing. It has already been more than 15 years since we said goodbye to one of the most successful road racers of all time. 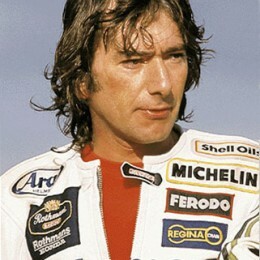 In Joey Dunlop, we lost a fine human being, who is still revered as an unforgettable role model.